It’s hard to say anything bad about a smoked brisket sandwich from a good deli. Really, it’s hard to say anything at all because, if properly constructed, your mouth will be completely full. And when it comes to smoked meat piled high on rye bread, few places do it better than Mile End Delicatessen in New York. An instant fixture when it opened a few years ago, the Canadian-inspired Mile End is taking its meat on the road via a new partnership with Foodydirect. We sampled the Montreal Smoked Meat Sandwich Kit, consisting of layer upon layer of fragrant brisket wrapped in butcher paper, house-made bread, snappy pickles and a tub of mustard. The $99 order claims to feed four to six, but there was enough brisket for at least eight reasonably obsessed food people. Here, the full Sandwich Stalker stats. The Filling: Mile End’s brisket, which is cured for 12 days and then smoked for 14 hours before send off. A chatty panel of FWx tasters fell silent as they ate their way through enough meat to feed a Bar Mitzvah. The Bread: House-made rye bread that is pillowy soft. The actual rye taste is very subtle, letting the meat do most of the heavy lifting. Accoutrements: A simple smear of yellow mustard is all you need to finish the sandwich, though creative types sliced garlic-dill pickles to stuff inside. 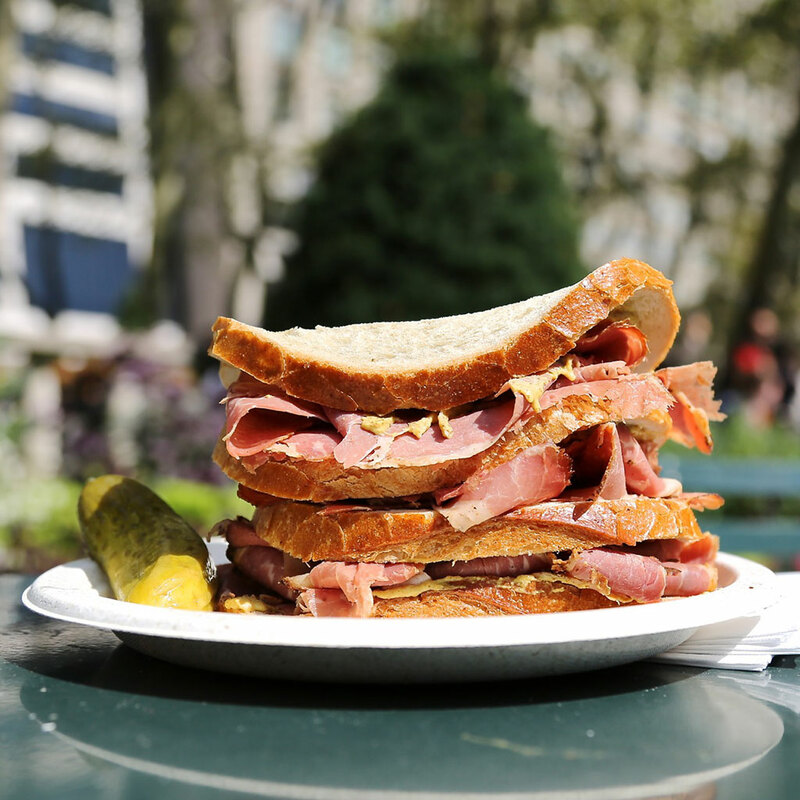 In addition to the kit we tried, FoodyDirect is shipping kits for Mile End classics like Reubens, kosher–style Hoyt dogs and the Ruth Wilensky—a beast of a salami sandwich inspired by the 82-year-old classic at the famed Wilensky’s Light Lunch in Montreal.